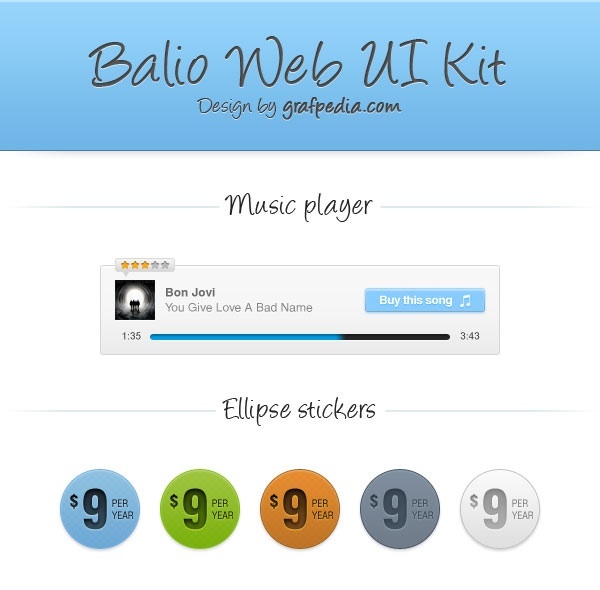 This UI pack also comes from 365PSD. 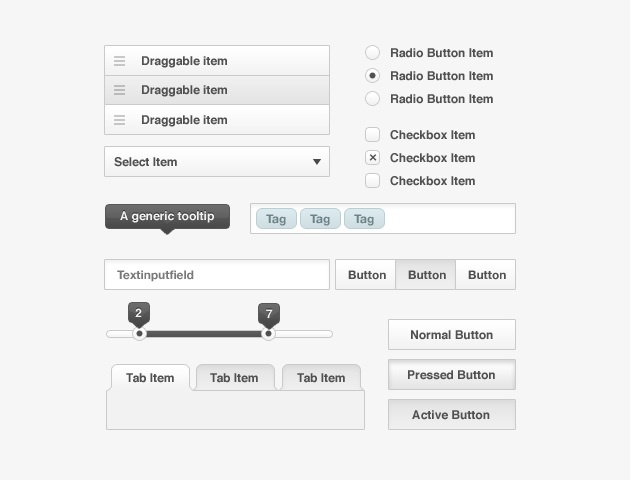 It contains the usual elements, like checkboxes and radio buttons, sliders, tooltips, input fields, buttons and draggable items. 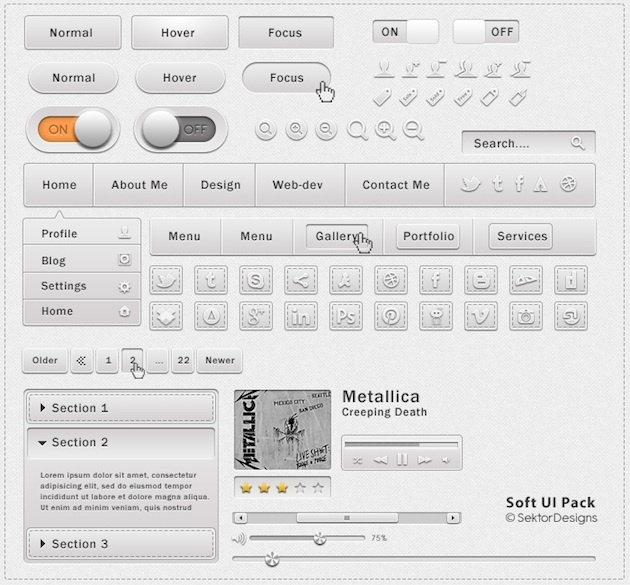 365PSD offers this free silver UI kit with dark grey and sky blue accents. 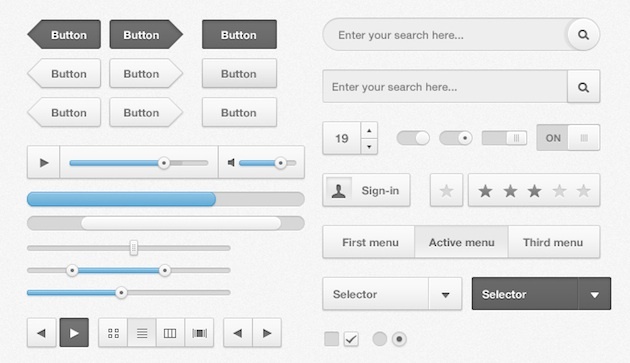 The Soft UI Kit contains many detailed elements such as buttons, menus, social buttons, sliders, a pagination style and an accordion, plus many more. 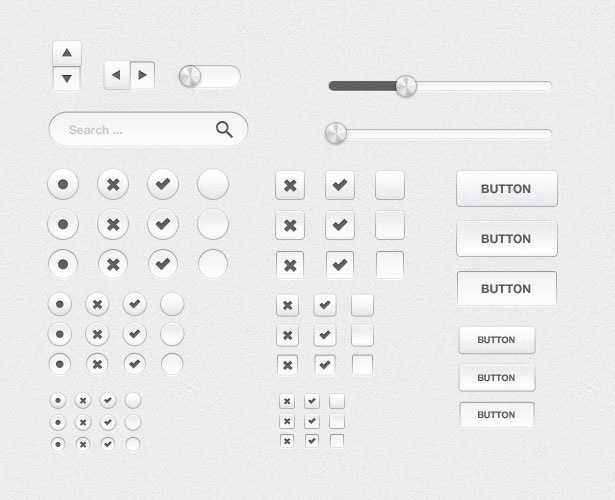 The subtle gray shade allows a versatile usage in interface designs.